YOVASO (Youth of Virginia Speak Out) is Virginia’s peer-to-peer education and prevention program for teen driver safety. It is a teen-led advocacy program in high and middle schools throughout the Commonwealth that address unsafe driving behaviors and focus on the prevention of crashes, injuries and fatalities among young drivers under the age of 21. Focus areas of the peer-to-peer programs include seatbelts, speeding, underage drinking/impaired driving, distracted driving, and Virginia’s teen driving laws, risky driving behaviors and driving attitudes. There are 150 YOVASO clubs in Virginia. This year YOVASO held its annual retreat at James Madison University the week of June 19, 2017. 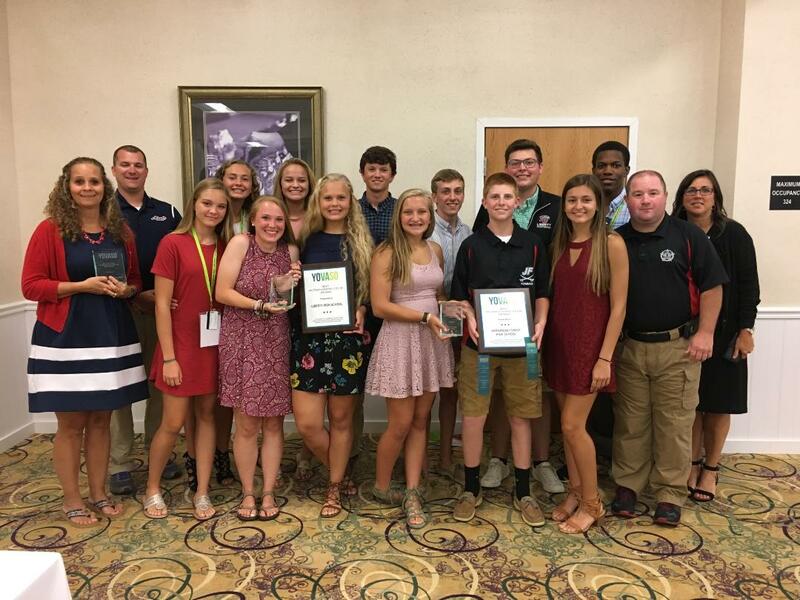 During the awards banquet the group honored schools, students, sponsors, school resource officers and volunteers for their clubs outstanding teen safe driving initiatives during the 2016-2017 school year. Bedford County Sheriff’s Sgt. Ryan Hilbish leads the YOVASO Club at Jefferson Forest School and Cpl. Daniel Clark leads the Liberty High School club. Once again Bedford County “rocked the house”. Liberty High School and Jefferson Forest High School won the Outstanding Club Award.